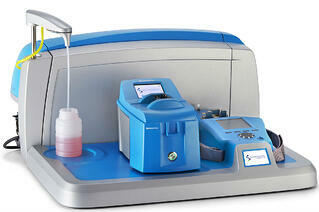 In-service oil analysis equipment monitors the status of lubricants for optimal performance. These instruments alert operators to potential problems before they develop. In-service oil analysis equipment provides operators with direct access to accurate lubricant status information. This knowledge helps prevent major issues before they arise, and it also allows your company to react immediately to problems as they develop. Is the oil dry and fit for use? Is it the right oil? Answering these questions can help prevent breakdowns in critical equipment. One example of this came from the U.S. Coast Guard vessel Waesche. A Spectro Scientific FluidScan® IR analyzer was able to detect a major water leak in a 3000 gallon onboard oil tank. The cost of changing this oil would have been $50,000. Finding this problem early allowed the Coast Guard to dewater the oil before any damage occurred and the vessel avoided being taken out of commission. In-service oil analysis equipment is not just a monitoring system for a machine’s lubricant; it also checks for machine wear conditions. Constant monitoring of machine wear, oil degradation, and oil contamination allows for a quick reaction to mechanical problems as they arise. An example of this happened in a large oil refinery in the United States suffering from premature failures of its charge pumps. They used a Spectro Scientific LNF Q200 analyzer to identify a large number of sliding wear particles in the lubrication oil. This information allowed them to pinpoint the source of the wear problems, avoiding a costly shutdown of the refinery. Monitoring the charge pump lubrication oil for wear dramatically reduced unnecessary lubricant changes in the refinery. “We went from 28,000 gallons of lubricants last year to only 6,000 gallons this year”. At a price of $20/gallon, that represents a savings of $440,000 per year in lubricant costs alone. In-service oil analysis equipment can help save resources by reducing, or even eliminating, time lost to out-of-service equipment. These systems alert operators to problems in real-time, which allows for real-time solutions.